Galway councillor Shaun Cunniffe said he believes the upcoming legislation will open the doors to “social abortion”. A LABOUR PARTY councillor has said he is resigning from the party over its stance on abortion. 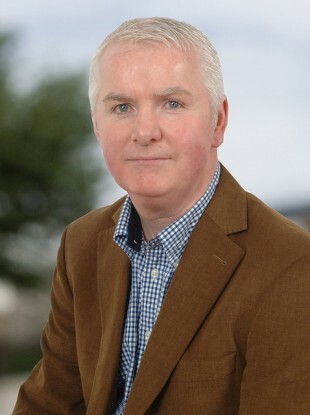 Galway councillor Shaun Cunniffe said he believes the upcoming legislation on the X Case judgment will open the doors to “social abortion” and that the Oireachtas hearings on the issue were “undemocratic”. The businessman also said he believes that some women will take advantage of the new laws to procure abortions. Cunniffe, who sits on Galway County Council, described the Protection of Life During Pregnancy Bill as a ‘Trojan horse’. “It seems good. It seems like it’s solving problems and all these soundbites, but when you look at it, the defining feature, which is whether someone feels suicidal, can’t be objectively measured,” said Cunniffe. The way this legislation is drafted, someone can just say it [that they are suicidal] and it gives them the legal right to abortion. The figures are low, but once there is a piece of legislation where you can go in and say you’re suicidal and procure an abortion, it will be like the UK or California, it mushrooms. I think people will take advantage of it. The councillor said when he joined Labour he had seen abortion as “a road I didn’t want to walk down,” describing it as a very contentious issue. The whole pendulum has swung entirely the wrong way. Cunniffe also called for a free vote for TDs and Senators when the bill comes before the Oireachtas. He is believed to be the first Labour elected representative who has left the party over the issue. Fine Gael TDs Brian Walsh and Peter Mathews have already indicated they will vote against the coalition government on the bill, as well as Senator Fidelma Healy-Eames. Cunniffe, who says he has always been anti-abortion, was co-opted as a councillor in 2011 to replace Labour party chairperson Colm Keaveney upon his election to the Dáil. The councillor said he has written to Labour to inform the party of his decision. He does not yet know if he will join another political party. “Where does a pro-life person go?” he said. Email “"It's undemocratic" - Labour councillor quits the party over abortion”. Feedback on “"It's undemocratic" - Labour councillor quits the party over abortion”.